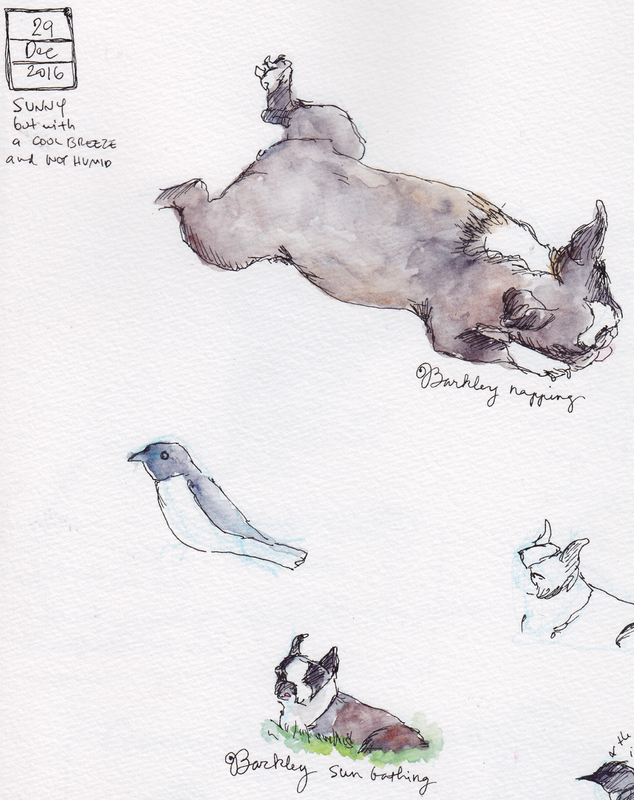 When I get frustrated with drawing birds, there’s always Barkley! You can always count on him to take a nice nap during the day. And look really cute while he’s doing it. Unlike those birds! 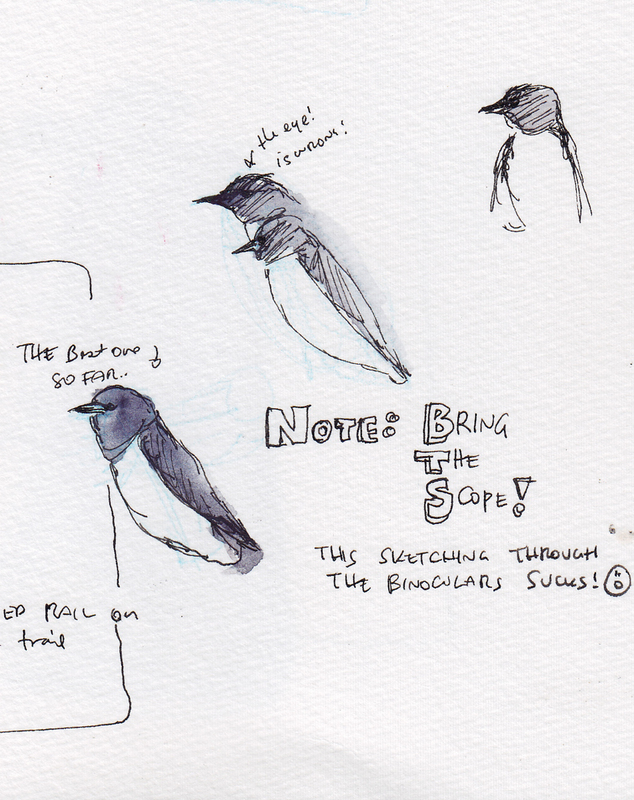 When I see a bird perched nicely, I grab my sketching gear! 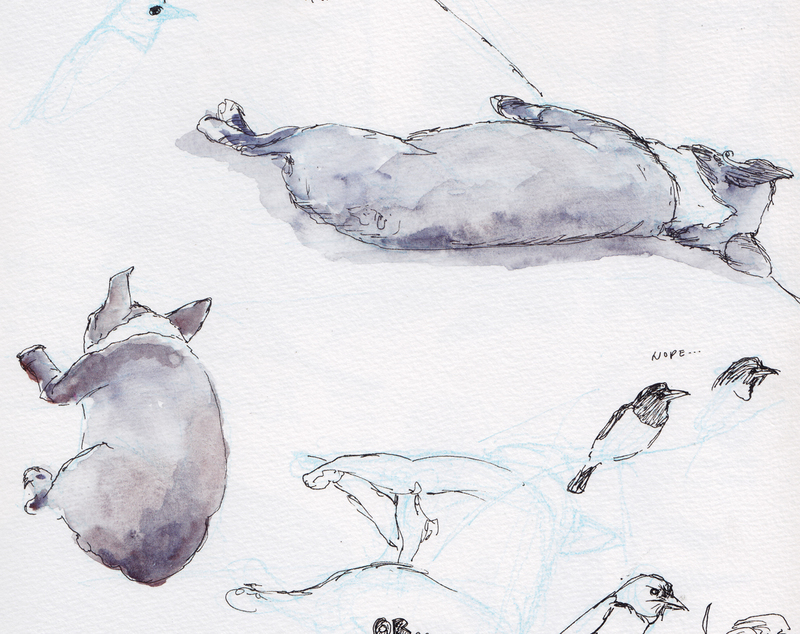 Sometimes, the bird is gone by the time I’ve pulled out my sketchbook and pencil. 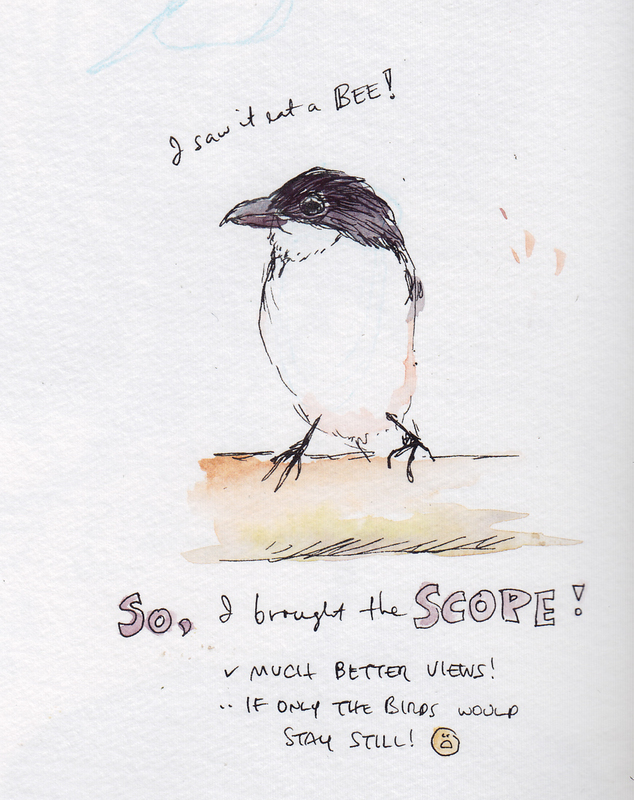 If the bird stays in the area, then it’s a very intense few minutes of looking through the binoculars or scope and sketching and painting. At the end, I’m always surprised when I look at my sketchbook and see how few bird sketches I’ve made. It always feels like I drew a lot!